Mumbai and its nearby area, Nala Sopara were reclaimed by Sage Parasurama from Sea. Present 7 islands of Mumbai were called Kshaharatapuri around 1st century BCE, as it was ruled by Kshaharata kings or western Satraps. Nala Sopara, was ancient Surparaka (Shurparaka) mentioned in Mahabharata and Puranas. Mahabharata and the Puranas state that the Śūrpāraka was reclaimed from the sea for the dwelling place of Parasurama and it became a tirtha for this reason. The finding of the relics in a stupa and the rock edicts (the fragments of the 8th and 9th major rock edicts) of Ashoka in 1882 CE prove the importance of this port town. Parasurama, after waging multiple wars at Kurukshetra to eliminate evil Kshatriyas (kings), became king himself. He wrote a penal code (rule book) called Parasurama Sutra or Parasurama Smriti, which is original form of communism. After deciding to quit kingdom and retire into forest exile, Parasurama donated entire land to Kasyapa and claimed one small piece of land, which was into the sea and cut away from mainland. That land is today’s Mumbai. One should proceed to Shurparaka, where Jamadagni’s son had formerly dwelt. Bathing in that tirtha of Rama, (Parasurama) one acquireth the merit of giving away gold in abundance. (3:85). In the tirtha called Shurparaka are two sacrificial platforms of the illustrious Jamadagni, called Pashana and Punaschandra (3:88). Yudhishthira plunged his body in all the holy spots, and then came again to Shurparaka (3:118). Bathing in the Narmada as also in the tirtha known by the name of Shurparaka, observing a fast for a full fortnight, one is sure to become in one’s next birth a prince of the royal line. (13:25). The Indian west coast regions of Konkan, coastal Karnataka and Kerala are considered as Parashrama Kshetra. The ancient Saptakonkana is a slightly larger region described in the Sahyadrikhanda of Skanda Purana, which refers to it as Parashuramakshetra (Area of Parasurama). During Rajasuya Yagna, Sahdeva, after winning Saurashtra, proceeded towards Shurparaka and Talakata, and then won Dandakas also. Mahavamsa, the Sri Lankan Pali chronicle, mentions that the legendary founder of the Sinhalese, prince Vijaya, left his homeland of Lala and landed first in Suppäraka (the Pali form of the Sanskrit Shurparaka) identified with modern Sopara, in Palgar district north of Mumbai. Prince Vijaya (Sinhalese: විජය කුමරු) was a legendary king of Sri Lanka, who along with several hundred of his followers came to Lanka after being expelled from an Indian kingdom. In Lanka, they displaced the island’s original inhabitants (Yakkhas), established a kingdom and became ancestors of the modern Sinhalese people. One day while retiring into his island, Parasurama heard about Rama breaking Siva’s bow. This made him think that Kshatriyas have become arrogant and evil again. He attacked Rama but was defeated. He had to made a choice to either lose his power gained from penance or block his path. As he promised Kasyapa that he would not stay on the donated land during nights, he let Rama destroy his power. After this, Parasurama went into depression and met Dattatreya to understand advaita philosophy in the form of Tripura Rahasya. 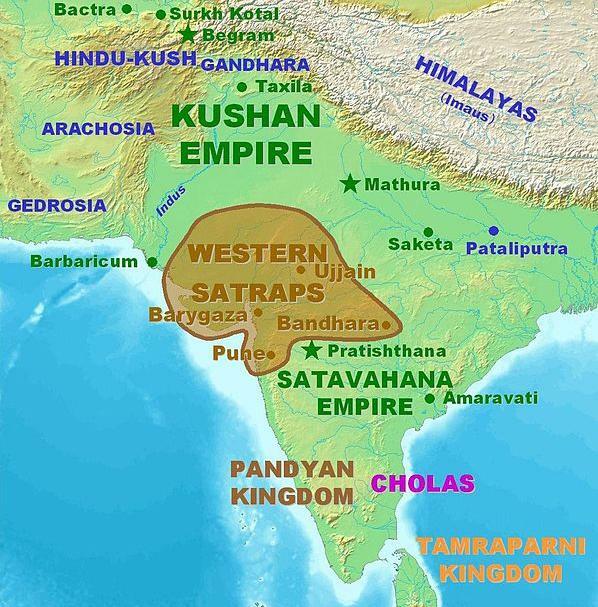 Western Satraps, Western Kshatrapas, or Kshaharatas were Indo-Scythian (Saka) rulers of the western and central part of India (Saurashtra, Malwa, modern Gujarat, Maharashtra, Rajasthan and Madhya Pradesh states). The Western Satraps were contemporaneous with the Kushans who ruled the northern part of the Indian subcontinent and were possibly their overlords. The power of the Saka rulers started to decline after they were defeated by the south Indian Emperor Gautamiputra Satakarni. The earliest Kshaharata for whom there is evidence is Abhiraka, whose rare coins are known. He was succeeded by Bhumaka, father of Nahapana, who only used on his coins the title of Satrap, and not that of Raja or Raño (king). Bhumaka was the father of the great ruler Nahapana, according to one of the latter’s coins. His coins bear Buddhist symbols, such as the eight-spoked wheel (dharmachakra), or the lion seated on a capital, a representation of a pillar of Ashoka. Coin of Nahapana (119–124 CE). British Museum. Location of Western Satrap inscriptions in Buddhist rock-cut caves, indicating the southern extent of their territory. Nahapana succeeded him, and became a very powerful ruler. He occupied portions of the Satavahana empire in western and central India. Nahapana held sway over Malwa, Southern Gujarat, and Northern Konkan, from Bharuch to Sopara and the Nasik and Poona districts. His son-in-law, the Saka Ushavadata (married to his daughter Dakshamitra), is known from inscriptions in Nasik and Karle and Junnar (Manmodi caves, inscription of the year 46) to have been viceroy of Nahapana, ruling over the southern part of his territory. 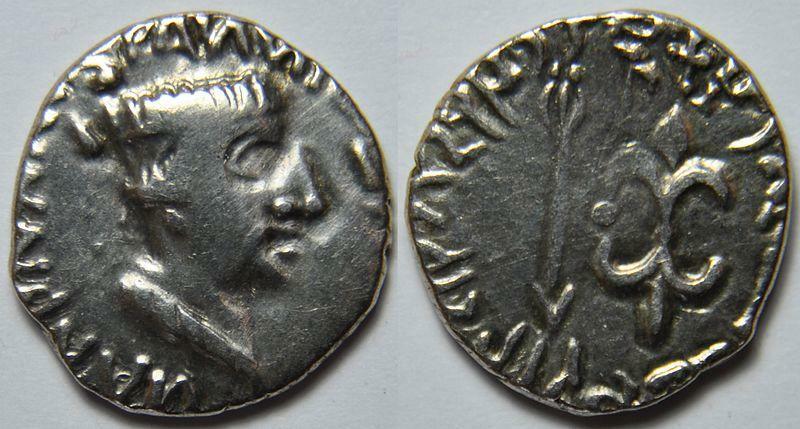 Nahapana established the silver coinage of the Kshatrapas. His son-in-law, the Saka Ushavadata was killed by Gautamiputra Satakarni. During Kshaharata dynasty rule and later, present Mumbai was not a huge city but just a small port city called Kshaharatapuri, as it was not accessible from mainland easily and was mainly used by fishermen. The nearby Navi Mumbai was a bigger port city called Kalyanipuri. 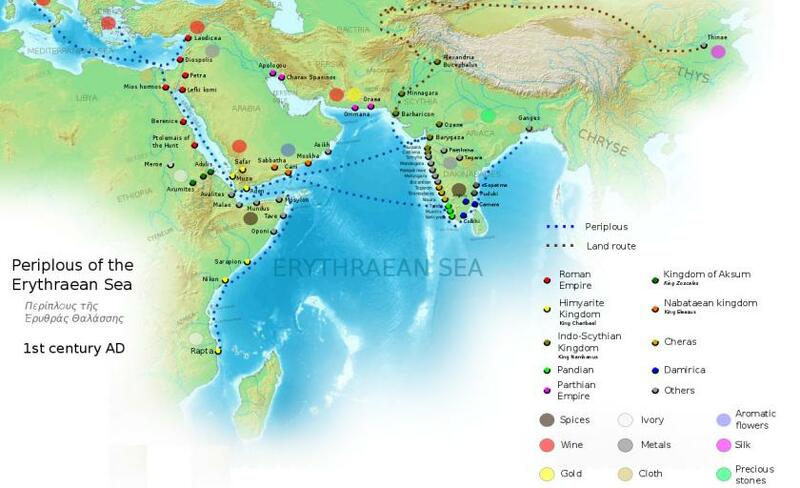 Romans used to trade through searoute from Surparaka, Kshaharatapuri, Kalyanipuri. In ancient times, Surparaka (also called Sopara by romans) was the largest township on India’s west coast, trading with Mesopotamia, Egypt, Cochin, Arabia and Eastern Africa. The nearby Kalyan town the leftover of ancient Kalyanipuri. Romans called Kalyanipuri as Collinopolis. Mumba Devi or Mother Goddess temple was first built by local fishermen in 15th century. Later it was rebuilt in 1675 CE near the main landing site of the former Bori Bunder creek against the north wall of the English Fort Saint George by a Hindu woman also named Mumba. The creek and fort are now deteriorated to a point at which they are but derelict reminders of the city’s past. The temple, on the other hand, is still active. Goddess Mumba was patron of the Marathi-speaking agris (salt collectors) and kolis (fisherfolk), the original inhabitants of the seven islands of Bombay. She is depicted as a black stone sculpture in the temple. An etymology of Mumba that is popular is “Maha Amba,” or “Great Mother”. Original temple built at the site where the Victoria Terminus station earlier was by Koli fishermen was demolished around 1737 CE by invaders and a new temple was erected in its place at Phansi Talao. In past 3500 years of history, Mumbai first came into rule of Chandragupta Maurya during 16th century BCE (not to be confused with Chandragupta of Gupta dynasty). This Chandragupta Maurya killed Mahapadma Nanda, who ended Ikshvaku dynasty by killin their last king Sumitra in 1634 BCE. 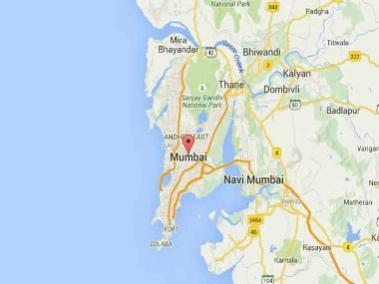 Mumbai, later came under portugese and British rule, to be named as Bombay, which was renamed as Mumbai in 1995.